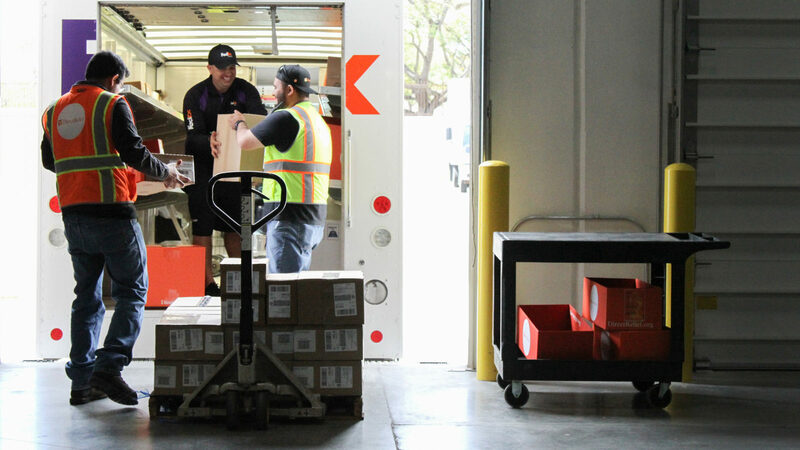 As wildfires continue to burn up and down Southern California, Direct Relief continued to deliver breathing masks, respiratory supplies and critical medicines to communities this week. Air quality has been a concern for many, with smoke and ash lingering thick in the air, even miles away from the front lines of the blazes. The need for the masks was evident in Carpinteria, California, on Friday morning, where several hundred people had already lined up as distribution of masks began in the parking lot of a local grocery store. Direct Relief staff handed out thousands of N-95 respiratory masks, which work to filter out particulates and debris in the air. 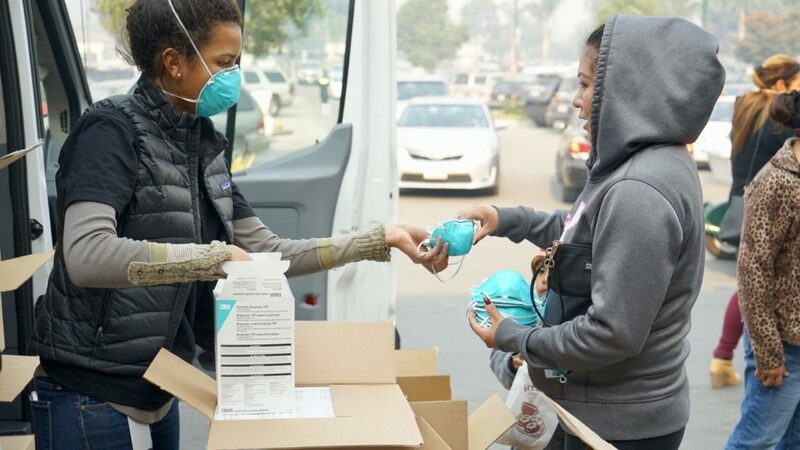 To date, Direct Relief has distributed over 90,000 masks to communities impacted by the fires raging throughout Southern California. Direct Relief has coordinated the distribution with a host of local agencies, including law enforcement, fire response and public health, as well as the Medical Reserve Corps and CERT. Masks were provided to evacuation centers, including a shelter at UCSB, to the Santa Barbara County Sheriff’s Department, Santa Barbara Police Department, Public Health Departments in Santa Barbara and Ventura Counties. On Friday, Direct Relief also delivered 1,000 masks to the organization CAUSE for distribution to local farmworkers in Santa Barbara and Ventura Counties. 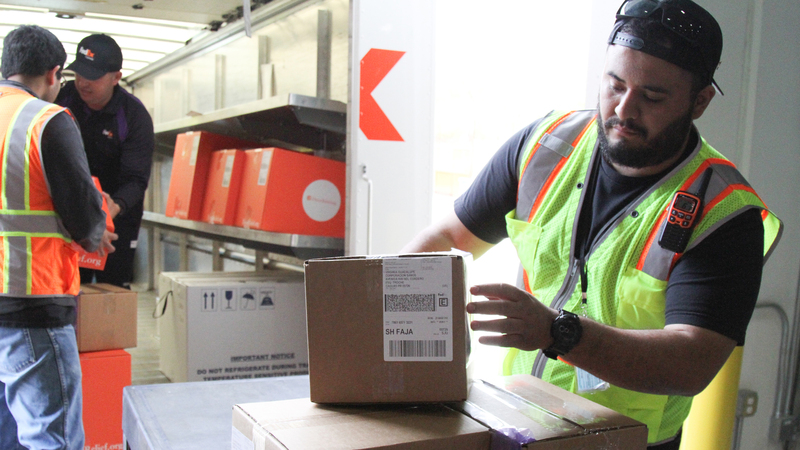 Local healthcare facilities impacted by the fires have also made requests and Direct Relief has been working to coordinate shipments of critical medicines and supplies. One of those clinics is the Clinicas del Camino Real in Camarillo, which received a shipment of the masks this week. Air quality remained an issue in the community, and both staff and patients at the clinic wore masks even inside the clinic’s walls. Concern about respiratory health was high, and many patients had reported breathing symptoms, according to Robert Cardona, a health center manager at Clinicas. In addition to the masks, a delivery of medicines Friday also bolstered the clinic’s pharmacy with inhalers and other essential medicines. One hundred and twenty Personal Care Packs were also delivered to the clinic, and each pack contains basic hygiene items for people displaced or impacted by the fires. In Santa Barbara County, the Santa Barbara Neighborhood Clinics were also working to treat walk-in patients. Many reported exacerbated breathing issues, according to Leslie Kearny, who works at the clinics. Their staff have also been handing out masks, and “people are so grateful,” she said. Kearny stopped by Direct Relief’s offices to pick up requested medication, including albuterol inhalers, which are used to help people restore normal breathing in the midst of an asthma attack. “We’ve seen a huge number of people ask for rescue inhalers,” she said. The high demand had caused the clinic to run low, and Direct Relief was able to supply more on Friday afternoon. Inhalers and other medications will be going out throughout the weekend, including to a mobile clinic providing medical services at the evacuation center at the Ventura County Fairgrounds. For the latest information about N-95 mask distribution, visit Direct Relief’s Facebook here.